It’s the hour of the Furan, a game changer for Psynyde Bikes. Wikipedia describes Furan as a heterocyclic organic compound; one that is a colourless, flammable, highly volatile liquid with a boiling point close to room temperature. At Psynyde, Furan is a hardtail mountain bike (MTB). It represents the first time, Psynyde Bikes – a small enterprise funded by “ friends and family’’ – is making a departure from custom-built bicycles and launching a product for the larger market. Doing so, they have to move through all the regular motions of a bicycle manufacturer from finding the best way to make the bicycle, selling it and supporting it in the market. The story is longer still, if one sees Pune based-Psynyde as a response by riders to the shortcomings of the Indian bicycle market, dominated for decades by a clutch of manufacturers churning out large volumes in protected economy. Thanks in large part to one man – Shiv Inder Singh, one of the founders of Firefox Bikes (subsequently bought by Hero Cycles) – a market for premium bicycles opened up in India. 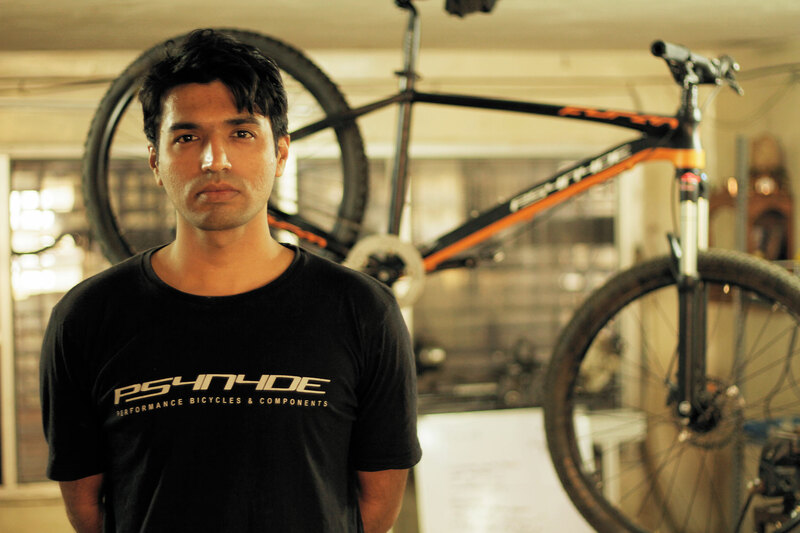 Away from the main market, cyclists like Praveen Prabhakaran and Vinay Menon, tapped into their personal learning to start initiatives such as Psynyde (for more on the origin of Psynyde, please try this link: https://shyamgopan.wordpress.com/2014/02/06/the-story-of-psynyde/). Making custom-built bikes, Psynyde catered to a small niche of customers for whom, premium didn’t necessarily mean perfect. At that level of search, the bicycle world entailed materials science, computer aided design, frame geometry, welding technology and the like; basically the quest to make a perfectly fitting bicycle that also addressed the application in mind. There is much learning here but as Praveen said, it can also be a bit difficult sometimes coping with unrealistic deadlines and customer expectations. It was from this backdrop that the Furan, Psynyde’s first hardtail MTB to be made in large numbers, took wing. Two aspects qualify the Psynyde approach. First there is the obvious – they see their products as designed, tested and made by riders. Second, both Praveen and Vinay are clear: they wish to be in the performance segment, which at present is a niche within the premium category of bicycles. “ We want to address serious cyclists,’’ Praveen said. The premium category can be broadly divided into three types of bicycles – road bikes, hybrids and MTBs. Road bikes are popularly called “racing cycle’’ in India. 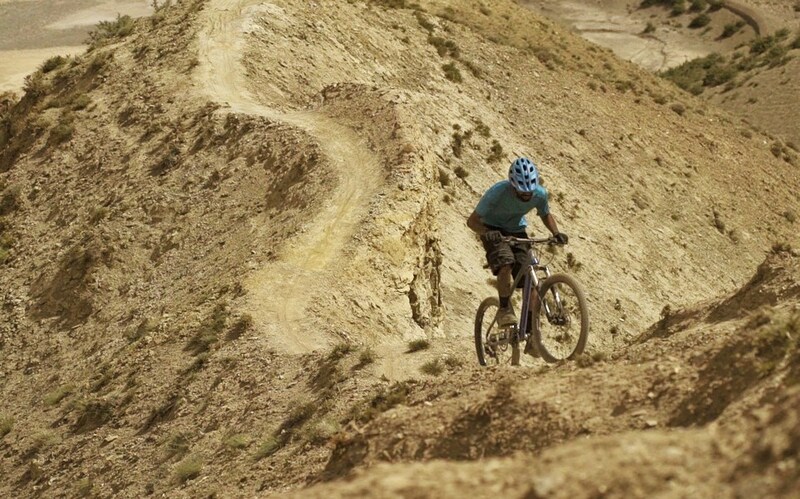 The MTB segment, born for uneven terrain and previously little known, became popular once the market opened up. The hybrid, as the term denotes, straddles the lightness of a road bike and the off-roading capability of a MTB without being pronounced in either. It is a flexible, overlapping segment gaining much popularity of late. Psynyde’s need to be identified with performance meant the hybrid was automatically ruled out for want of sharp definition. While Psynyde has custom-built road bikes, they did it using steel, a material that has advanced much in terms of metallurgy and machining. A discerning client will comprehend a light road bike made of special steel. But the market revered carbon fibre as ultimate in light weight road bikes. Psynyde is yet to acquire familiarity with carbon fibre. On the other hand, although there are good performance grade aluminum road bikes internationally, in India for some reason they are perceived as `entry level.’ Further, the posture adopted on a road bike isn’t exactly the market’s sweet spot. It is radical; an effort to sustain and to that extent, defining a road biker rigidly to the expense of other cycling styles. Looking for a product to debut with in the market, Psynyde’s focus therefore shifted to the MTB segment. MTBs attracted for a variety of reasons. 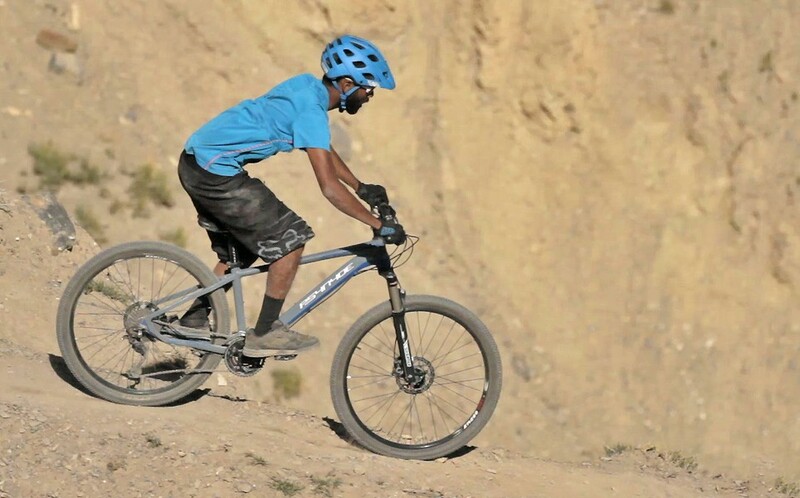 To begin with, both Praveen and Vinay had a background in mountain biking with Vinay ending up among the best freeriders in India. When the Indian bicycle market opened up, the MTB was what everyone rushed to buy. Many people subsequently upgraded to hybrids and road bikes. But the entry was through MTBs, pointing to a fascination for the model. For its first mass produced bike, Psynyde decided to go with a MTB. Next step was to decide which particular segment of MTB, seemed best to make a mark in. The MTB category can be roughly divided into three: cross country, trail bike and all-mountain. The cross country bicycle is designed to spend long hours off-road. It is usually strong at tackling uphill. What it occasionally misses is good control at aggressive levels of riding. According to Vinay, many of the MTBs currently sold in India are closer to this technical set up in lineage. All-mountain on the other hand, showcases control including in aggressive riding that pushes the limits. It typically has a wider handle bar and shorter stem. It tends to be tad heavier but is capable of greater control at higher speeds. In the middle, sort of like a hybrid within the MTB segment, is the trail bike. Its geometry too is amenable to decent control when pushing the limits. A fourth segment – fat bike, featuring fat tyres – has started showing up in India, but for now, it is a novelty. The Furan was imagined as a performance MTB that could also be used on roads. 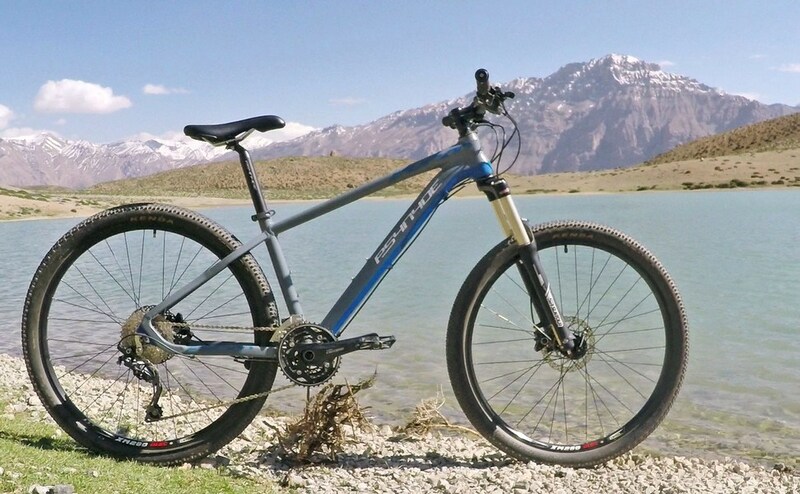 Psynyde decided that a versatile trail bike is what the Furan must aspire to be. Having resolved to build a trail bike focused on performance, the question next was: how do you define the performance package in a machine that is a composite of frame and outsourced components made to different quality levels and performance parametres? “ Our story is a lot similar to brands like Marin, GT and Specialized – all of who began as frame builders,’’ Vinay said. Like its wing is to an airplane, in a bicycle, the most important part is the frame. Every bicycle manufacturer worth its salt, stakes its reputation on the frame; its geometry and build quality. For Psynyde’s Furan too, its DNA would reside in the frame. That’s the calling card. Other components can vary to provide affordability. The Furan frame was thus matched to different combinations of components. Across the three finishes of Furan offered on the same frame, one critical component stayed the same – a fork with 120mm travel; it was in line with the performance segment the bike wished to be in. Very importantly and in a step unique for the Indian market, it was also decided to sell the Furan frame separately allowing dedicated cyclists in the market to build a cycle with components of their choice. Next was firming up wheel size. By early 2016, when the idea of Furan was assuming shape, the global MTB market had split into three main wheel sizes: 26 inches, 27.5 and 29 – all having strong reasons for being what each is. The standard used to be 26. Altering wheel size shakes up the market. Existing frames, forks and suspensions become redundant when wheel size changes. It makes existing customers insecure. It puts new ones at the mercy of what companies dish out as logic for the shifts. The core reason for moving into dimensions bigger than 26 inch-diametre – the erstwhile standard – is roll over ability. As the term denotes, a bigger wheel rolls over obstacles easier; it also covers more distance. To complicate matters, even as they suddenly lost fancy for 26, big bicycle manufacturers who committed investments towards their chosen new standard, polarized in their preference for 27.5 and 29. This created the impression that money power and not users will decide trends. As if that is not enough, the manufacturers too appear to be undecided which way the wind will blow for some of their bicycle frames are capable of hosting more than one wheel size. In markets like India, where cycles are bought and retained for long due to less money with customers, such tricky shifts worry. What should Psynyde do? “ We grew up on 26, we are all 26 fans. If I am doing jumps with my bicycle, I still prefer 26,’’ Vinay said. At the same time, you have to accommodate the future and provide for versatile use, which includes covering distance on roads. One thing mattered – as a performance bicycle, expected to be put to punishing use, the Furan couldn’t risk flex in the rim. It seemed wise to embrace the future conservatively. The 27.5 was closer to 26 than 29. It was decided that the Furan should have 27.5 inch wheels. All through Psynyde’s journey, Praveen had been the brain behind design and manufacture. He was the one custom-building bikes and who in the process acquired knowledge of materials and welding techniques. While Praveen worked on the Furan’s design, the team searched for a factory that would build the frame from 6061 aluminum alloy. India is a price sensitive market dabbling still in steel for much of its bicycle manufacture. It does not yet support the economics of manufacturing 6061 frames to affordable cost nor does it have the required finesse in aluminum welding techniques. The place to look for was China. Praveen emphasized a point here. China is the global powerhouse in bicycle manufacturing. Many of the world’s leading brands of bicycles are made at factories in Taiwain, China, Vietnam and elsewhere in South East Asia. Investing in scale, the Chinese have a reputation for being low cost. It is also fashionable to associate the Chinese with poor quality. “ What is closer to reality is that they will make a product as you wish it to be. If you ask for a low quality bicycle, you will get a low quality bicycle. What we forget is that we blame the source based on what product we chose to sell in the market, ignoring who decided product specifications in the first place,’’ he said. Sudeep Mane is a statistician. He grew up in Pune. His first job after completing studies was with Bajaj Allianz General Insurance. Finding himself interested in archery, he trained in the sport at Army Sports Institute (ASI) for about a year. Later he took up trekking. By then he had moved to his second job, at SAS Research & Development. His engagement with the outdoors growing, he decided to do his Basic Mountaineering Course from the Himalayan Mountaineering Institute (HMI) in Darjeeling. 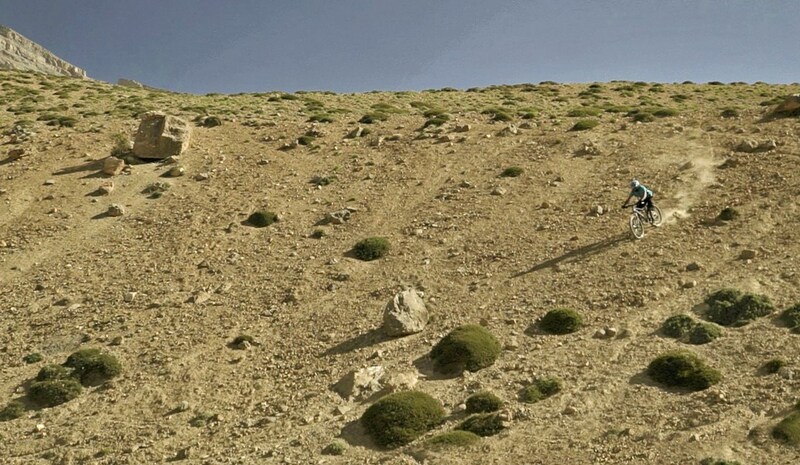 Upon finding it hard to obtain leave for a month – the duration of the basic course – he quit his job and proceeded to do the mountaineering course. His third job – this time with the US headquartered-IT company CNSI – found him based in Chennai. For a person liking outdoors and Pune’s hills, this was different terrain. So Sudeep focused his attention on training for the triathlon. As part of this, he bought an entry level Schwinn MTB. He also learnt swimming. A year and a half later, Sudeep took part in the triathlon organized by Chennai Trekking Club. He realized the sport wasn’t his forte; his swimming was not up to the mark. But he had made a discovery: he liked cycling. He had found something he wished to pursue. His inquiries revealed that the best bike would be a custom built one. On the Internet, he stumbled upon Praveen’s blog about building cycles. The blog appeared an on-off affair without systematic updates. Sudeep mailed Praveen. “ I mailed him exactly five words: do you still do this?’’ Sudeep said. Praveen built a bicycle for Sudeep; a road bike named Psynyde Projectile. Meanwhile Chennai was working on Sudeep. The city had a fairly big community of cyclists. “ Early mornings I would probably find two to three times more cyclists in Chennai than in Pune,’’ Sudeep said. Slowly the idea of a good quality bicycle in an Indian market progressively getting ready for it, took shape. In May 2015, Sudeep got in touch with Praveen and Vinay and pitched the idea of a partnership in making bicycles. Committing himself to the move wasn’t exactly easy for Sudeep. Having no previous experience as entrepreneur, he wondered whether he should do a MBA. Two things helped. A professor he knew at Mumbai’s Wellingkar Institute guided him; officials at the company he worked for – CNSI, were supportive. 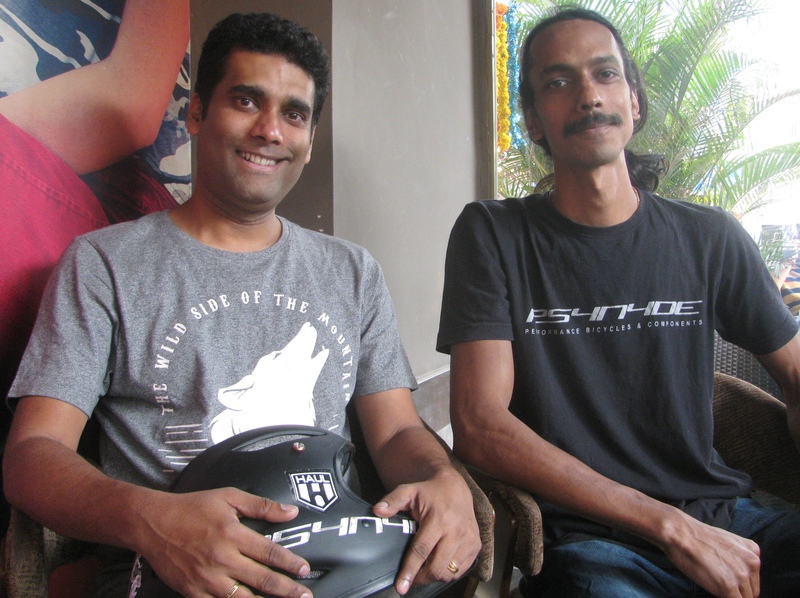 Today Praveen, Vinay and Sudeep are the core equity investors at Psynyde Bikes. Sudeep coming aboard had immediate impact. The enterprise acquired structure and a sense of urgency. In January 2016, Psynyde Bikes moved to official address on 1000 square feet space at a MIDC-industrial estate in Pune. “ Praveen was building cycles. Neither he nor I was thinking of how to sell it. I knew how to test a bicycle. Sudeep gave the idea concrete shape. That was needed. Otherwise, we would have still been chilling, taking it easy,’’ Vinay said. Sudeep oversees the finance function at Psynyde. He handled Psynyde’s dealings in China. According to Praveen, the typical Chinese manufacturer keeps a catalogue of already designed products. Many brands order bicycles from the catalogue. What is bought is then badged to sport a given brand’s name. “ We were approaching a Chinese manufacturer with a bicycle frame we designed. We knew what kind of frame we wanted; we merely wished to get it built and produced in numbers. We were also uncompromising on specs,’’ Praveen said. By April 2016, two Furan frames and their associated components had arrived in Pune. Two bikes were assembled. Vinay headed to Spiti in Himachal Pradesh to test the MTB. With him was Ajay Padval, an upcoming mountain biker, currently part of a Psynyde sponsored-team of cyclists. They tested the Furan for a month in the mountains. They also participated in some mountain bike races. The Furan had a couple of finishes in the top ten-category, Vinay said. In early November when we met for this article, the Furan was in the stage of crowd funded-sales. About 120 bikes or so were totally on offer in the initial phase. Orders placed – as visible on the crowdfunding site in early November – were very few. Less than 10 days remained for campaign’s close. Neither the demand for Furan nor the level of funds raised by then (a little over one tenth of what they stated as goal) bothered Praveen and Vinay. They said there had been healthy enquiries for the bike from riders and dealers long known to them. While around 70 dealers who are into performance bikes, showed interest, about 25-30 of them have agreed to stock the Furan to gauge market response. “ The crowd funding campaign provides us visibility because news of the Furan gets dispersed thanks to the very nature of crowd funding. Being a small outfit, our budget for marketing is otherwise very low,’’ Vinay said. Sudeep provided insight into the start-up company’s finances. Broadly speaking, the money for investment has come from people who empathize with cycling, understand the product and have noticed the Indian bicycle market or believe in the promoters, their background in cycling and their commitment to it. He approached several banks for funding but nothing worked. Their procedures wouldn’t allow them to take a position on a new bicycle venture like this. So investors other than the promoters have put in their funds as loans. It is currently debt but should the company hit revenues forecast, it can be converted into equity. Otherwise it is money to be repaid. Interestingly these investors include some senior corporate officials, who have invested in their personal capacity. Deliveries of the Furan were slated to commence by mid-December. “ As regards where the Furan is in the Indian bicycling scenario, it is in a good spot right now. There are a small number of people who understand performance bikes. They will identify with our journey. We are also in no hurry to grow,’’ Vinay said. According to him, the Furan has the required quality certification to sell in the Indian market. Rider friends from overseas have shown interest. While they can pick it up in India, supplying the Furan to dealers overseas, even in limited numbers, will take time, for due certifications have to be obtained. According to Praveen, the foray into manufacturing the Furan had another reason too; a secondary one. 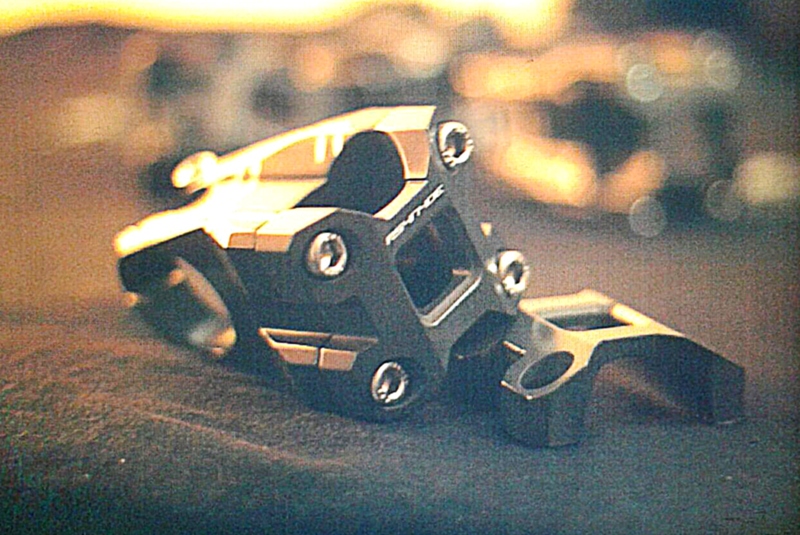 Psynyde had machined bicycle components in the past. These components were periodically disclosed on the outfit’s Facebook page. The components were meant for discerning riders. Fact is – you can’t have a market of discerning riders seeking high end components, unless the market has an idea of a good ride. For that, you need good bicycles. If the Furan can pull it off in its chosen segment, then Psynyde’s capacity to design and machine high performance components, also stands to gain. Vinay assigned five years for Psynyde’s Furan phase to play out. When that draws to a close – maybe earlier, maybe tad later – he expected to see others like him, Praveen and Sudeep enter the performance category with bicycles they designed. That would spell competition. But it is also the spirit of Psynyde, vindicated.